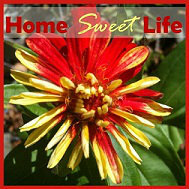 Home Sweet Life: SchoolhouseTeachers.com May sale starting now! 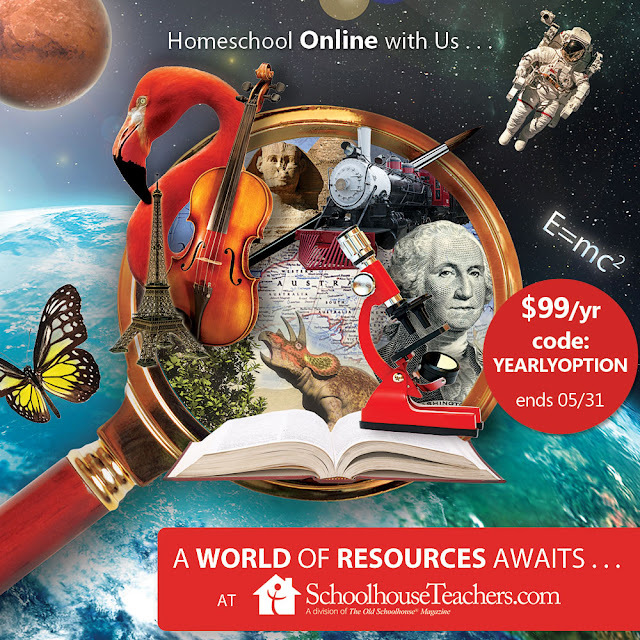 Because I wanted you to be some of the first people to know, here is the special for SchoolhouseTeachers.com for May: $80 off making it $99 for a full year of unlimited access to over 370 courses, plus online resources for parents, printable planners, transcript record-keeping from Applecore, AND, you'll get a print copy of the The Old Schoolhouse summer issue delivered to your doorstep... and a little birdie told me there might even be a free tote bag for you included for those who sign up soon. But don't wait until May 1st, the sale has already started, and you can jump on it today! 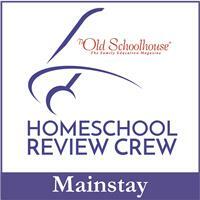 Wondering what we like about SchoolhouseTeachers? A lot! Read my review from this January and find out more about Applecore Recordkeeping! 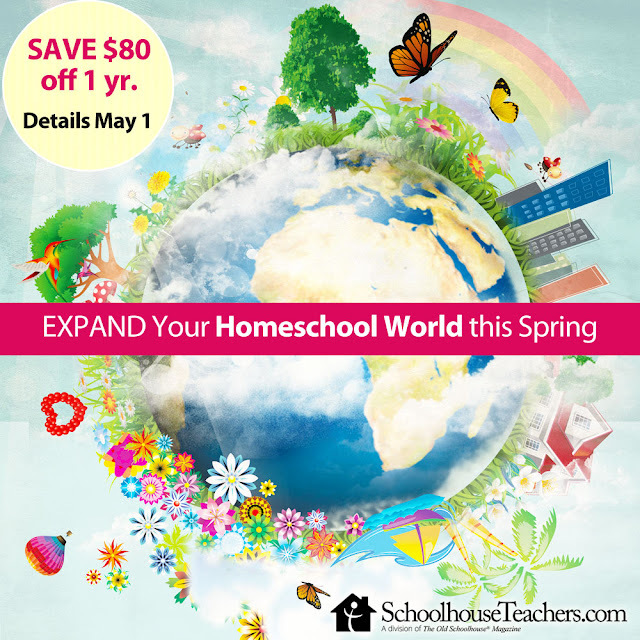 So if you've been waiting for a deal on SchoolhouseTeachers.com to come along - this is it! 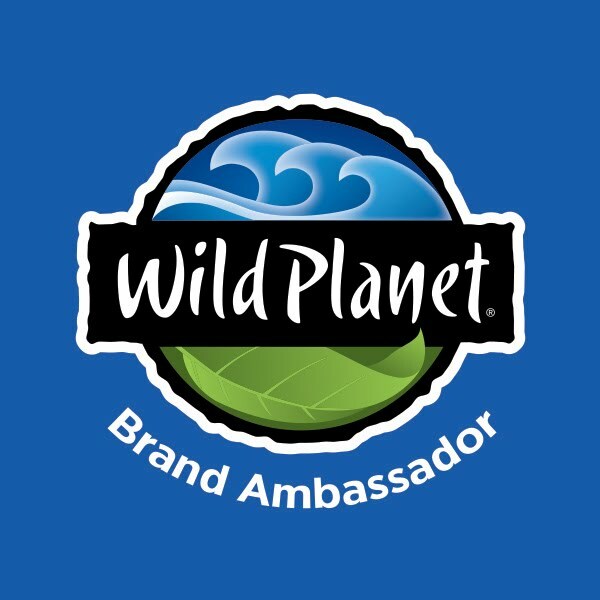 Don't delay, just click on over and check it out today. The discount code:YEARLYOPTION should already be working, so you can sign up and save today. 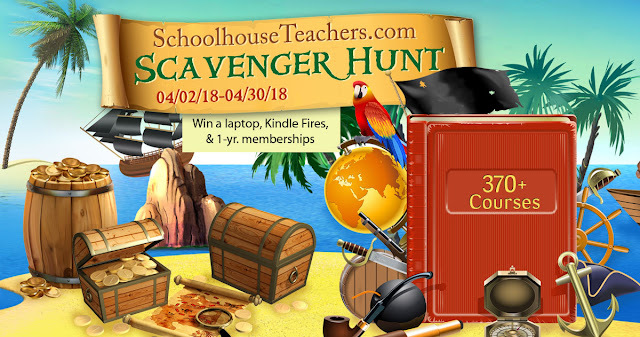 Please remember that the scavenger hunt is still going on through Monday, April 30th. Make time this weekend to get that done!